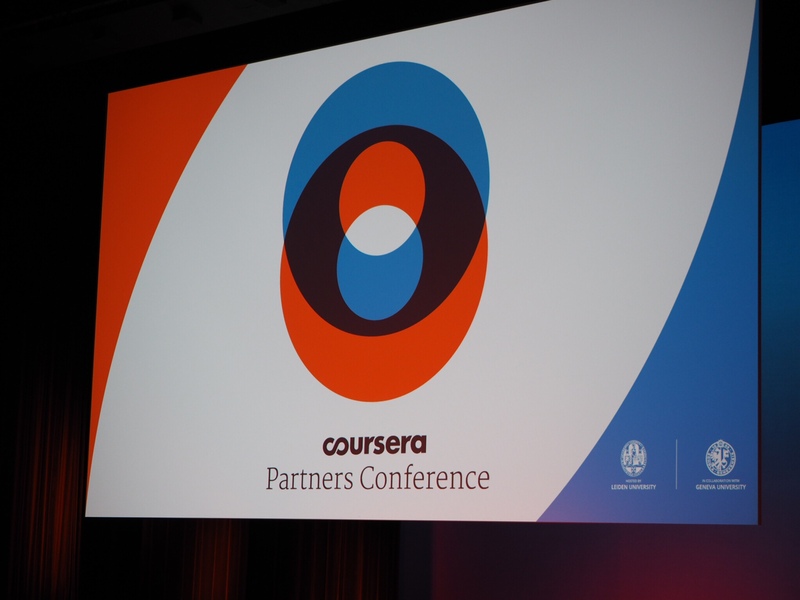 A few weeks ago, instructors, administrators, and other representatives from over 100 of Coursera’s global partner institutions convened for our 4th Annual Coursera Partners Conference. 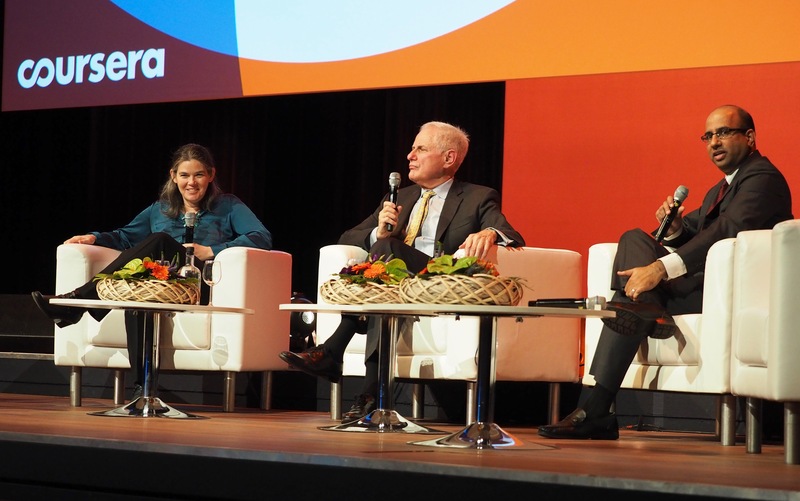 Over 500 people were in attendance at the World Forum in the Hague, Netherlands for three days of engaging discussion about the role of online education in building a better future for people around the world. The more that we reflect on this year’s Conference, the more inspired we are by our partners’ commitment to innovation and transformation – and the more excited we become for the year ahead. Read on for our top five Conference highlights, and for a peek into how our ideas and plans that we shared in the Netherlands will shape the Coursera learner and partner experiences in 2016 and beyond. Our first annual Outstanding Educators Awards recognized a few of the most impactful instructors on Coursera. Since we knew we couldn’t choose just one winner from more than 1,000 talented and inspirational educators teaching on our platform, we gave awards in three categories: “Learners First,” “Transformation,” and “Innovation.” We are already looking forward to recognizing three more of our phenomenal instructors next year! 2. Coursera Beyond Courses: Introducing Degrees! At the Conference, we were thrilled to announce the second degree program to be offered on Coursera, a Master of Computer Science in Data Science (MCS-DS) from the University of Illinois. Since Coursera launched four years ago, we’ve recognized that many learners need more than a single course to achieve their goals – and we’ve responded by expanding our offerings from courses to Specializations, and now from Specializations to fully accredited degrees. We’re excited to work with all of our partners to deliver more of these transformational programs to learners around the world. For the first time, this year’s Conference offered a full-day track dedicated to pedagogical research and improving the online learning experience. The interest in this topic was overwhelming, with over 200 attendees arriving at the Conference a day early to attend! Throughout the day’s sessions and workshops, representatives from many of our partner institutions shared research findings, discussed challenges and ideas, and explored opportunities to collaborate on new projects in the coming year. In one of many engaging panel discussions, university and corporate leaders in attendance at the Conference shared their perspectives on the rapidly evolving relationship between college and career. They discussed the biggest needs in the job market, the successes and challenges of past collaborations between businesses and universities, and the strategies that businesses are implementing and considering for training, reskilling, and inspiring employees in the 21st century workplace. 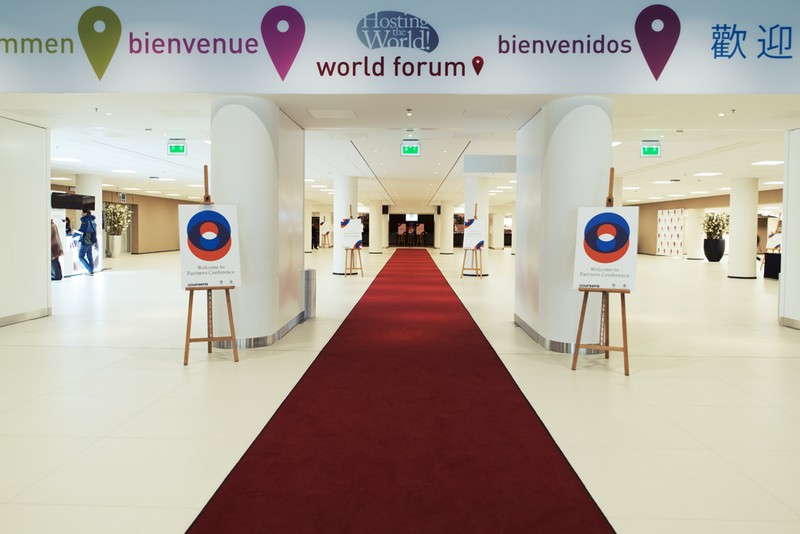 Our host Leiden University helped us secure an incredible conference venue – The World Forum in the Hague, the international city of peace and justice. We couldn’t imagine a better location to convene global leaders in education, or to discuss our shared vision and mission of providing universal access to high quality education.